Our corporate sales culture is based on the belief that as our client, your needs are of the utmost importance, with our goal being to create an event experience that exceeds your vision. 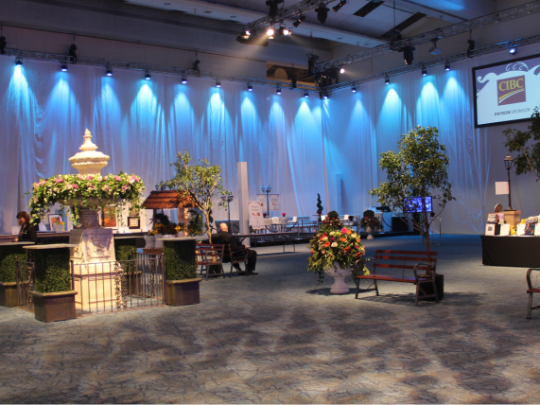 Ashen White has a dedicated team with years of experience in the corporate event industry who have a thorough understanding of how to work with hotel and venue managers, in­-house production companies, and other service suppliers that need to be coordinated when planning an event; and your Ashen White team knows how to do this, and do it well! From liaising with venue front of house staff, to banquet managers, to specialty service suppliers, your event manager is well skilled at ensuring that everything falls into place, so that you can simply enjoy your event. Using the latest in 3D Event design software, and working directly with our clients, we are able to take their concept from pipe dream to reality. To further benefit our client vision by creating a 3D model of the event design, we can foresee any challenges, negotiate those challenges and develop solutions in advance before the equipment even leaves the warehouse shelves. Unparalleled creativity, a passion for excellence and attention to detail – these are just part of what we bring to every event we produce.